intensetimes is sponsored by Orion Corporation of Espoo, Finland, but is administered by an independent expert Editorial Board that has sole responsibility for the academic and clinical standards of all material accepted for publication by the newsletter. Papers submitted to intensetimes will be reviewed by Board members or by other experts nominated by the Board. The Canadian clinical practice guidelines for nutrition support in critically ill adults are evidence-based, and were first published in 2003. Recommended by Dr Arthur CW Lau, ICU, PYNEH on 23 Aug 2010. This site contains a lot of educational materials and brochures related to critical care medicine. Disclaimer: Dr Lau has no direct commercial relationship with Edwards Lifesciences. This site contains many educational cases. Lots of medically related information, calculators, converters, etc. This site contains lots of interesting radiological images. "Anyone can join, anyone can edit." Your PC's performance declines as you install more and more programs. It takes too much time to boot up. What should you do? You can consider this powerful tool which may offer significant system improvement. The Microbes, Antimicrobials and Temperature CHart (MATCH) has been in use in ICU of PYNEH since July 2009. The MATCH facilitates and correlates pulse and body temperature with microbiology and type of antibiotics being used. Such correlation is indispensable and extremely useful for the clinician to make sense of the trend of vital signs and effectiveness of antimicrobial treatment. Chinese translation of common microbes is provided at the back. Publisher's description: "PDF ReDirect is a fast, free, and easy-to-use PDF creator. It has no restrictions, no watermarks, no spyware, no adware, and no pop-up advertisements. Features include encryption, full merging and PDF preview." My Comments: It is extremely easy to use and fast. It is installed as a virtual printer and can be used in any situation that allows printing. The output quality is very good. Figure. Pneumonia deaths cartograms generated by Worldmapper. Territories are sized in proportion to the absolute number of people who died from lower respiratory infection in one year. Worldmapper is a collection of world maps according to the subject of interest using equal area cartograms where territories are re-sized on each map according to a particular variable. From the SASI Group (University of Sheffield) and Mark Newman (University of Michigan). Lots of interesting images, open access. Click Read More. 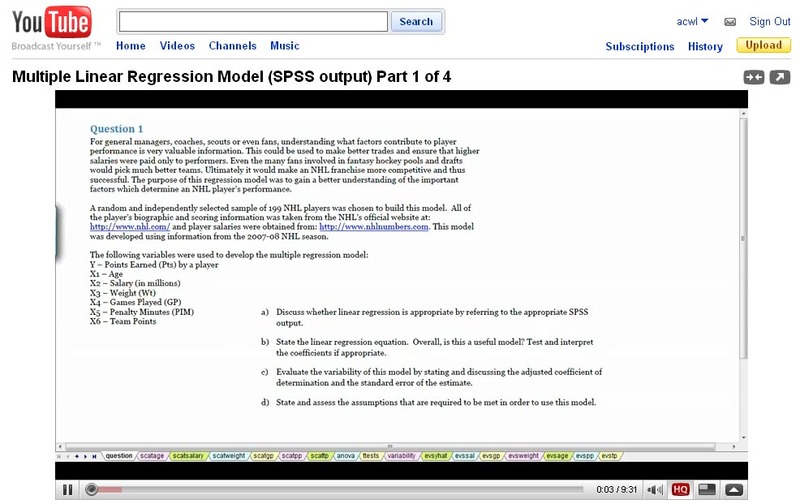 The following is some very good teaching materials that I found on Youtube on how to use SPSS for multiple linear regression and the way to interpret its output. The teaching content is adequate if your dissertation or paper requires you of this technique.